The world of social media is constantly changing, and keeping up with the latest features can become overwhelming. 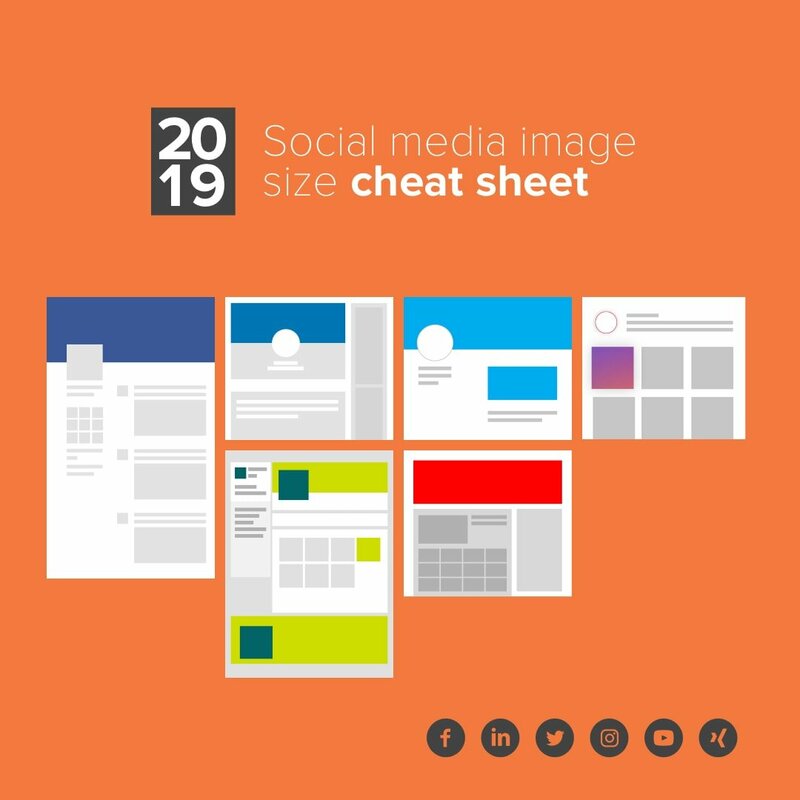 To optimize your social media efforts, we’ve put together a comprehensive cheat sheet with all the social media image sizes you may need. 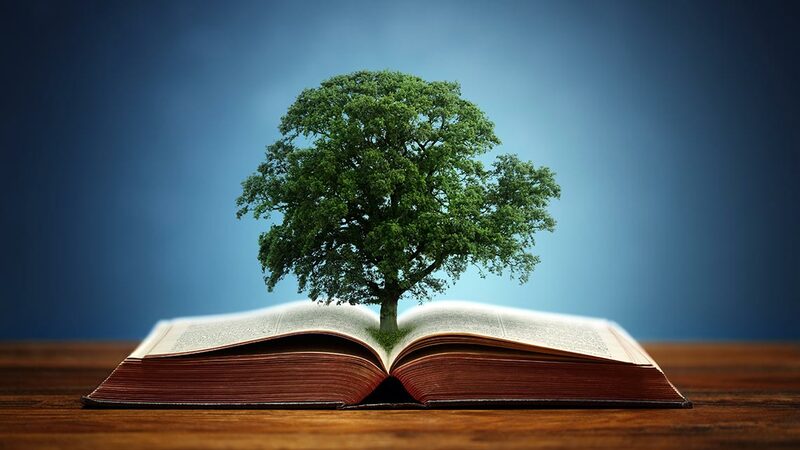 You have heard about the popularity of content marketing and its numerous benefits? You are considering if your business could benefit from it, but you cannot yet decide if it is worth investing in? Then, let me help you with that decision! Marketing Automation: Was Sie wirklich wissen müssen. 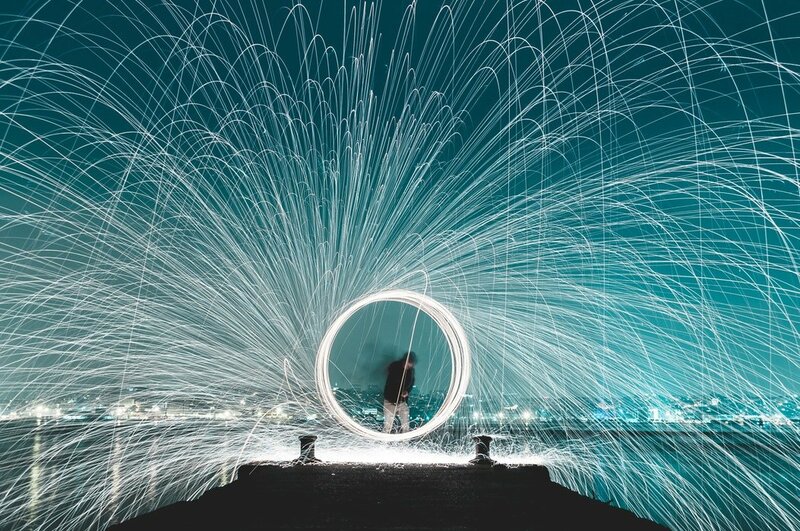 Laut HubSpot konnten Unternehmen, die Marketing Automation für Lead-Nurturing nutzen, die Anzahl qualifizierter Leads um 451% erhöhen. Marketing Automation ist zwar kein Luxus mehr, aber, unserer Meinung nach, ist es zum eindeutigen „Muss“ geworden. B2B Marketeers stehen vor der Herausforderung hunderte oder sogar tausende von Leads im Auge zu behalten. Ziel ist es dabei, aus diesen Kontakten Beziehungen zu entwickeln und somit neue, glückliche Kunden zu gewinnen. Genau hier setzt die Marketing Automation an. Sie hilft Ihnen dabei mehrere Aufgaben gleichzeitig zu verwalten, wertvolle Daten zu potenziellen Kunden zu sammeln und personalisierte Inhalte auf effiziente Weise bereitzustellen. According to HubSpot, businesses using marketing automation to nurture leads increased qualified leads by 451%. Marketing automation is no longer a luxury, but in our opinion, it has become a necessity. With hundreds or even thousands of leads to keep track of, B2B marketers are faced with the challenge of how to best develop these relationships to generate new customers. This is exactly where marketing automation comes in to play. It can help you manage multiple tasks at once, collect valuable data on prospects and deliver personalised content in an efficient manner. This website constitutes the temporary state of a continuous work process. Although the greatest care is taken in putting together the information contained in our web pages, Bubblebridge cannot guarantee that it is up to date, accurate or complete. That also applies to all links to which the website refers either directly or indirectly. Bubblebridge is not responsible for the contents of a page that is reached via any such link. On no account can Bubblebridge be held liable for damage of any kind arising from the use of or in connection with the use of the information herein supplied, be it direct or indirect damage or consequential damage, including lost profits or damage arising from data loss. We reserve the right to amend information on this server without prior notification. All offers are subject to change without notice and are not binding. We are very delighted that you have shown interest in our enterprise. Data protection is of a particularly high priority for the management of the bubblebridge interactive GmbH. The use of the Internet pages of the bubblebridge interactive GmbH is possible without any indication of personal data; however, if a data subject wants to use special enterprise services via our website, processing of personal data could become necessary. If the processing of personal data is necessary and there is no statutory basis for such processing, we generally obtain consent from the data subject. The processing of personal data, such as the name, address, e-mail address, or telephone number of a data subject shall always be in line with the General Data Protection Regulation (GDPR), and in accordance with the country-specific data protection regulations applicable to the bubblebridge interactive GmbH. By means of this data protection declaration, our enterprise would like to inform the general public of the nature, scope, and purpose of the personal data we collect, use and process. Furthermore, data subjects are informed, by means of this data protection declaration, of the rights to which they are entitled. As the controller, the bubblebridge interactive GmbH has implemented numerous technical and organizational measures to ensure the most complete protection of personal data processed through this website. However, Internet-based data transmissions may in principle have security gaps, so absolute protection may not be guaranteed. For this reason, every data subject is free to transfer personal data to us via alternative means, e.g. by telephone. The data protection declaration of the bubblebridge interactive GmbH is based on the terms used by the European legislator for the adoption of the General Data Protection Regulation (GDPR). Our data protection declaration should be legible and understandable for the general public, as well as our customers and business partners. To ensure this, we would like to first explain the terminology used. The website of the bubblebridge interactive GmbH collects a series of general data and information when a data subject or automated system calls up the website. This general data and information are stored in the server log files. Collected may be (1) the browser types and versions used, (2) the operating system used by the accessing system, (3) the website from which an accessing system reaches our website (so-called referrers), (4) the sub-websites, (5) the date and time of access to the Internet site, (6) an Internet protocol address (IP address), (7) the Internet service provider of the accessing system, and (8) any other similar data and information that may be used in the event of attacks on our information technology systems. When using these general data and information, the bubblebridge interactive GmbH does not draw any conclusions about the data subject. Rather, this information is needed to (1) deliver the content of our website correctly, (2) optimize the content of our website as well as its advertisement, (3) ensure the long-term viability of our information technology systems and website technology, and (4) provide law enforcement authorities with the information necessary for criminal prosecution in case of a cyber-attack. Therefore, the bubblebridge interactive GmbH analyzes anonymously collected data and information statistically, with the aim of increasing the data protection and data security of our enterprise, and to ensure an optimal level of protection for the personal data we process. The anonymous data of the server log files are stored separately from all personal data provided by a data subject. The website of the bubblebridge interactive GmbH contains information that enables a quick electronic contact to our enterprise, as well as direct communication with us, which also includes a general address of the so-called electronic mail (e-mail address). If a data subject contacts the controller by e-mail or via a contact form, the personal data transmitted by the data subject are automatically stored. Such personal data transmitted on a voluntary basis by a data subject to the data controller are stored for the purpose of processing or contacting the data subject. There is no transfer of this personal data to third parties. The bubblebridge interactive GmbH offers users the possibility to leave individual comments on individual blog contributions on a blog, which is on the website of the controller. A blog is a web-based, publicly-accessible portal, through which one or more people called bloggers or web-bloggers may post articles or write down thoughts in so-called blogposts. Blogposts may usually be commented by third parties. If one of the aforementioned reasons applies, and a data subject wishes to request the erasure of personal data stored by the bubblebridge interactive GmbH, he or she may, at any time, contact any employee of the controller. An employee of bubblebridge interactive GmbH shall promptly ensure that the erasure request is complied with immediately. Where the controller has made personal data public and is obliged pursuant to Article 17(1) to erase the personal data, the controller, taking account of available technology and the cost of implementation, shall take reasonable steps, including technical measures, to inform other controllers processing the personal data that the data subject has requested erasure by such controllers of any links to, or copy or replication of, those personal data, as far as processing is not required. An employees of the bubblebridge interactive GmbH will arrange the necessary measures in individual cases. If one of the aforementioned conditions is met, and a data subject wishes to request the restriction of the processing of personal data stored by the bubblebridge interactive GmbH, he or she may at any time contact any employee of the controller. The employee of the bubblebridge interactive GmbH will arrange the restriction of the processing. In order to assert the right to data portability, the data subject may at any time contact any employee of the bubblebridge interactive GmbH. The bubblebridge interactive GmbH shall no longer process the personal data in the event of the objection, unless we can demonstrate compelling legitimate grounds for the processing which override the interests, rights and freedoms of the data subject, or for the establishment, exercise or defence of legal claims. If the bubblebridge interactive GmbH processes personal data for direct marketing purposes, the data subject shall have the right to object at any time to processing of personal data concerning him or her for such marketing. This applies to profiling to the extent that it is related to such direct marketing. If the data subject objects to the bubblebridge interactive GmbH to the processing for direct marketing purposes, the bubblebridge interactive GmbH will no longer process the personal data for these purposes. In addition, the data subject has the right, on grounds relating to his or her particular situation, to object to processing of personal data concerning him or her by the bubblebridge interactive GmbH for scientific or historical research purposes, or for statistical purposes pursuant to Article 89(1) of the GDPR, unless the processing is necessary for the performance of a task carried out for reasons of public interest. In order to exercise the right to object, the data subject may contact any employee of the bubblebridge interactive GmbH. In addition, the data subject is free in the context of the use of information society services, and notwithstanding Directive 2002/58/EC, to use his or her right to object by automated means using technical specifications. If the decision (1) is necessary for entering into, or the performance of, a contract between the data subject and a data controller, or (2) it is based on the data subject's explicit consent, the bubblebridge interactive GmbH shall implement suitable measures to safeguard the data subject's rights and freedoms and legitimate interests, at least the right to obtain human intervention on the part of the controller, to express his or her point of view and contest the decision. If the data subject wishes to exercise the rights concerning automated individual decision-making, he or she may, at any time, contact any employee of the bubblebridge interactive GmbH. If the data subject wishes to exercise the right to withdraw the consent, he or she may, at any time, contact any employee of the bubblebridge interactive GmbH.